Ryan Witter-Merithew’s 10-year journey as a brewer has taken him from rural North Carolina (Duck-Rabbit Craft Brewery), to a tiny island off the coast of Denmark (Fanø Bryghus), to the United Kingdom (Siren Craft Brew) and finally to his current role brewing at one of America’s hottest breweries (Hill Farmstead Brewery). Now, after working for and collaborating with breweries the world over, he’s launched his own brand. On Hill Farmstead’s pilot system, he’s brewing funky and wild beers under the new label Casita Cerveceria. All About Beer: How did you get into this business? Ryan Witter-Merithew: I started at Duck-Rabbit in 2007, which was a really good place for me to get started. It was a brewery where everybody had to do everything. So I got to get my hands on every aspect of work while I was there. During that time I met Shaun Hill [of Hill Farmstead] as he was heading to Denmark to brew. My wife and I had talked about traveling, and Shaun mentioned there was a brewing job there if I wanted it. We moved to Denmark to this really tiny island called Fanø. It’s pretty much a glorified sand bar. It’s like 9 miles by 6 miles. We had a great time and lived there for three years. Among the U.S., Denmark and England, you’ve experienced some very different beer cultures. It always takes adjusting. We got really lucky in Denmark. The place we lived, even though it was small, just had a really nice sense of community to it. When we moved to England, we just weren’t able to replicate that sense of community in the neighborhood we were in. It was easy to tell it just wasn’t going to be the place for us. Also, if you’re going to brew in England, you kind of need to do cask beer. I’d done some cask but not too much before that. At Siren we did a good bit of cask beer, so you had to think about that when you made the beers. It’s a different drinking culture for sure. I do miss the pubs. What was brewing in Denmark like? The job in Denmark was the first one that really allowed me to explore my creative side by writing a lot of recipes and brewing a lot of beers. When I moved to Denmark, the community was embracing American-style brewing quite a lot. It wasn’t like there was this culture that I had to adhere to or anything. Is the name Casita Cerveceria a nod to finally finding a home of your own? 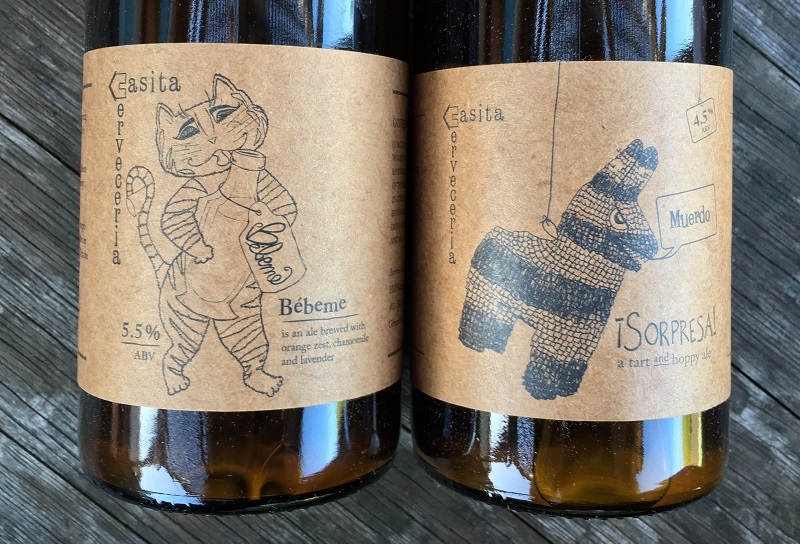 It’s a little tongue-in-cheek as well because Casita means small house, and I brew on the small brewhouse within the bigger brewhouse at Hill Farmstead. We have a 5-hectoliter pilot system that I use to brew the Casita stuff. We’re hoping being back in the United States that we’ve finally found this place to call home, that the Casita brand is a way we can play around and do the things that I want to do. Shaun was very nice in offering me that opportunity to start the brand when I came over so that I wouldn’t get bored. Do you think he knew you’d need your own creative outlet? I think he knows I like to mess around a lot, but it was also just this incentive for the people that work there. One of the other brewers is going to be hopefully starting a brand on it as well. I mean, we have the system, we might as well make the most of it. What distinguishes the Casita brand? Everything done on that small system is fermented in wooden puncheons. They’re like 600-liter wine barrels that we’ve taken the tops off of and stood up. Anything that gets made on that system is going to be funky. It’s going to have multiple yeast strains and bacteria and all that stuff in it just from being open. Does that present any challenges? There are definitely limits to what I can make there. I can’t really make IPAs, but we’re hopefully getting some regular fermenters in the next year. So far I’ve been really happy with everything we’ve made on the system. How do you balance your work at Hill Farmstead with your new brand? I tend to brew on the weekends when I do the Casita stuff. We just treat it like a contract brewery. Do you think people still think of “contract” as a dirty word? I don’t think so. There’s no reason for it to be a dirty word anymore. There were comments a few years ago about people “not having any skin in the game,” but I just don’t think people do contract as a get-rich-quick thing anymore. And I’ve brewed a lot of contract beer. That was a large portion of what we brewed at Fanø, was Evil Twin and Stillwater and Mikkeller and some other Danish brands. Most of these people, they’re in it all the way. They just chose a different way to do it. What about you? 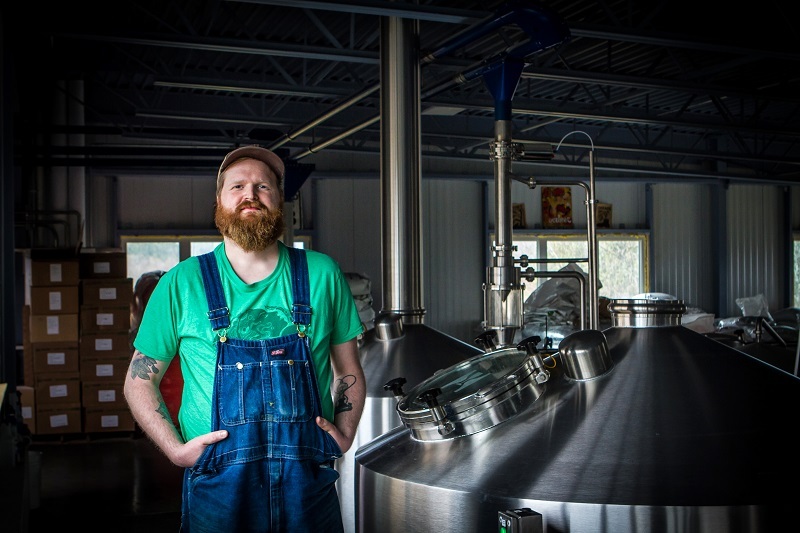 Any plans to have your own brick-and-mortar brewery? No, no plans. We’ve thought about it before—my wife and I—but I like making beer. I don’t like doing the business side of it. There’s a lot that goes into running a brewery outside of just making beer. —This interview was conducted and edited by Daniel Hartis, digital manager of All About Beer Magazine. Go to the next page to learn more about Ryan Witter-Merithew.